As President of Business Source Nevada, Sallie Doebler provides critical market insight and strategic direction to her clients. Specializing in the commercial real estate industry, she manages and enhances client/ partner relationships. Doebler has more than 16 years of networking and relationship-building experience with the real estate industry’s leading professionals, and over 30 years of sales and business development experience. She assists companies in diversifying their customer bases, resulting in substantial and measureable revenue increases. She also focuses on establishing and building the company brand and identity in the commercial real estate community. 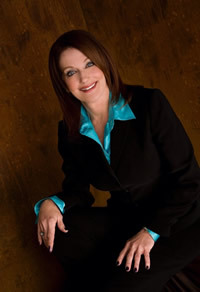 Active in industry organizations, she is the 2011 President Elect for the NAIOP Southern Nevada Chapter. She has served on the Board of Directors for more than four years, and received NAIOP’s Associate Member of the Year Award in 2005. Doebler is also an associate member of the local CCIM chapter. they’re the result of relationships. No matter what the economic conditions, a successful firm in the commercial real estate industry has to be in the forefront of the activity in the marketplace. Nevada Business Source provides the services that keep you on the front lines of brand recognition and project opportunities, allowing you to do what you do best; manage your company and your projects. As relationship experts in the industry, Business Source Nevada works with select partner firms. We offer exclusive representation for companies including general contractors, engineers, architects, law firms, brokerage houses and development firms. Business Source Nevada also offers proposal preparation services. With the expertise to identify and promote the best candidates for each project, Business Source Nevada can help you expand your business and create new, lasting and profitable relationships.